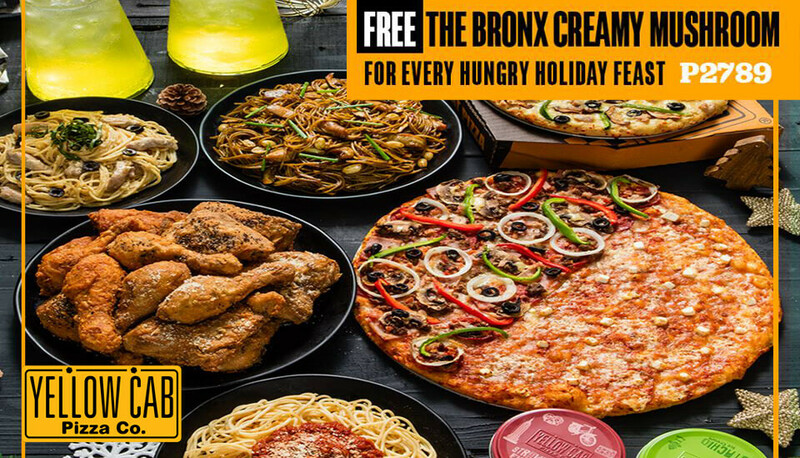 Yellow Cab Fuels the Hungry with the Hustlin’ Holiday Promos! HUNGRY? How about lunch in the Big Apple? 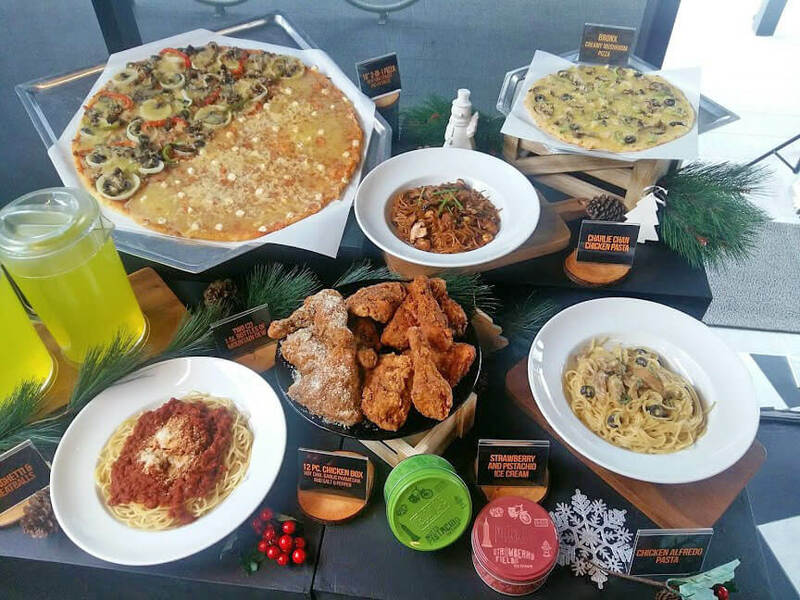 This Christmas, there’s really #NoStoppingTheHungry with Yellow Cab Pizza. 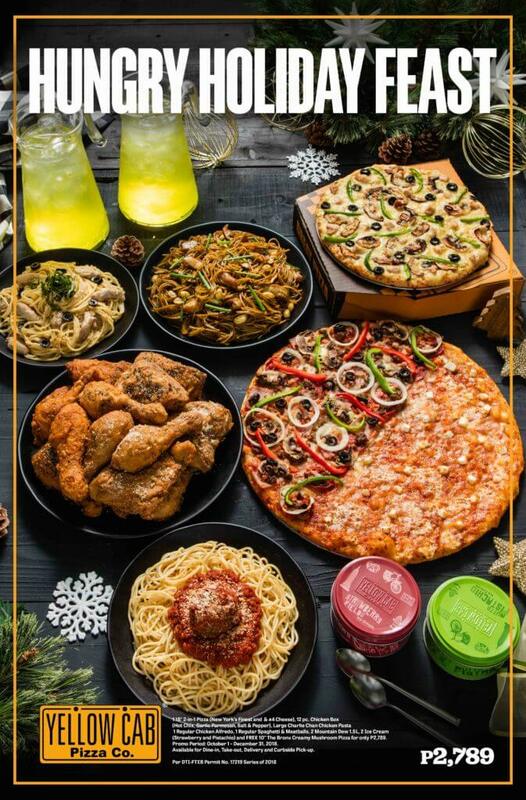 As Yellow Cab is giving its hungriest hustlers new offerings that will surely fuel their need to keep on going this holiday season. It’s literally a win-win situation: good food, great fun, plus a chance to win an all-expense-paid trip for 2 to New York. So stuff your tummies, pack your bags, and bite into Yellow Cab Pizza’s Hungry Holiday Feast! For those who don’t win the grand prize, 999 winners will get the chance to avail of a free Bronx Creamy Mushroom Pizza. How generous, right? So guys, the bigger the purchase, the more entries for the Hungry Holiday Feast promo. And the more chances of bagging that much coveted trip for 2 to the big NYC! Hungry Holiday Feast: The most complete Yellow Cab bundle ever! Back-to-back celebrations are sure well on their way this holiday season. And what better way to feed the hungry crowd than with Yellow Cab’s Hungry Holiday Feast? With almost everything their menu has to offer, each order comes with an 18” 2-in-1 Pizza featuring the pizza joint’s bestsellers New York Finest and #4 Cheese, three pastas namely Yellow Cab’s signature Charlie Chan (my fave! ), Chicken Alfredo and Spaghetti & Meatballs. It also comes with a 12pc. Chicken Box in Hot Chix, Garlic Parmesan and Salt & Pepper flavors, and two 1.5L bottles of Mountain Dew. Finish it off with Strawberry and Pistachio ice cream, the Hungry Holiday Feast really has everything. And it’s all for only P2,789.00! And that’s not all, every receipt order of the Hungry Holiday Feast is worth 5 raffle tickets for the Hungriest Holiday Raffle. 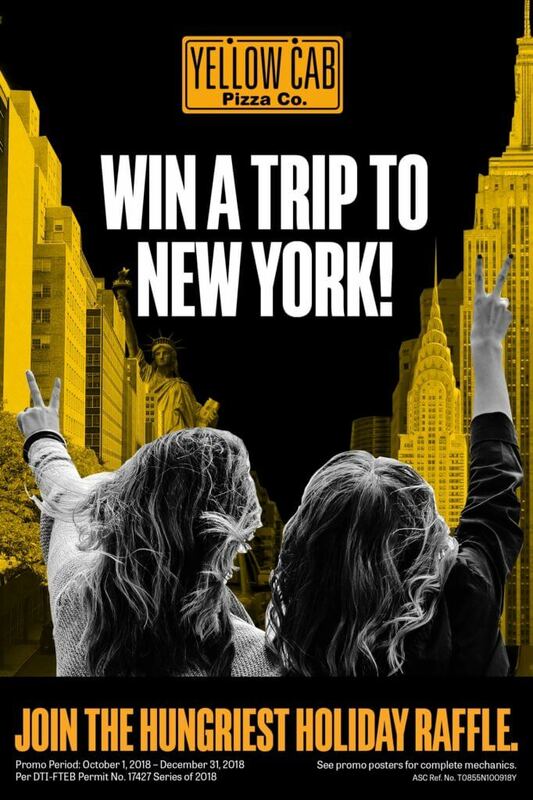 So order one now to up your chances for a FREE trip to New York! Whoa, what a #HustlinHoliday! Disclaimer: The new Bronx Creamy Mushroom Pizza was so tempting that my family couldn’t help but take a bite even before I got home. Thus the half eaten pizza (oops!) It was creamy, light, yet savory! Don’t wait to get invited to a party, why not throw the party yourself with Yellow Cab’s annual Ultimate Unli Party? And this year, it’s even bigger than ever. On December 5, enjoy unlimited slices of Hawaiian or The Bronx Creamy Mushroom pizza and free-flowing Mountain Dew for only P399.00. 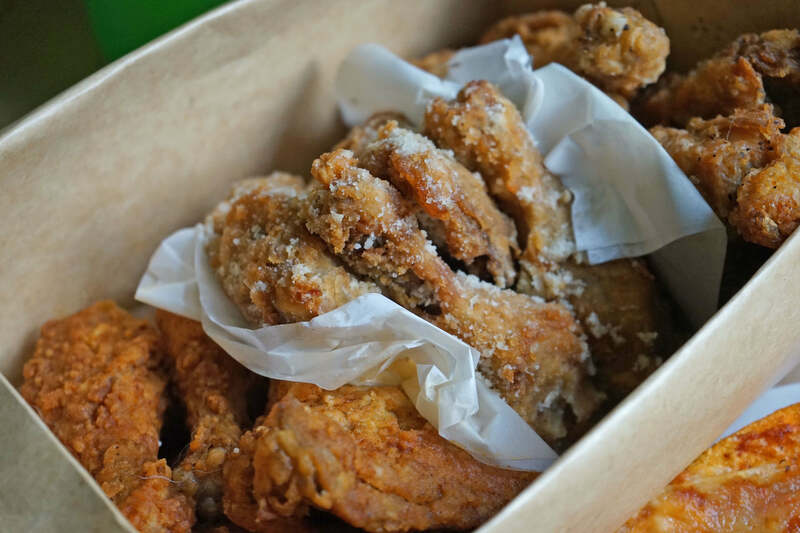 The Ultimate Unli Party now also comes with one serving of regular Hot Wings and Charlie Chan Chicken Pasta or Spaghetti & Meatballs for dine-in customers. For hustlers who prefer to bring the food to where their crowd is via takeout, delivery, or curbside pickup, there’s also something for you. You can avail of the 14” Hawaiian and The Bronx Creamy Mushroom pizzas for only P999.00. 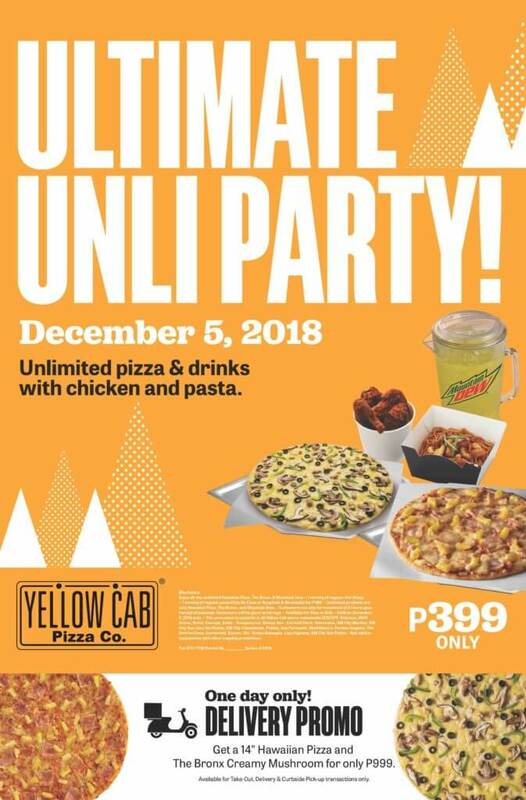 Generous, complete, and value for money, Yellow Cab’s Ultimate Unli Party is the most awaited event for foodies and hustlers everywhere. Don’t miss out on these holiday specials. Visit your nearest Yellow Cab branch today. Order a Hungry Holiday Feast and have a very #HustlinHoliday! See you in New York!